Your day-brightener is here in the form of some new M&M’s flavors. 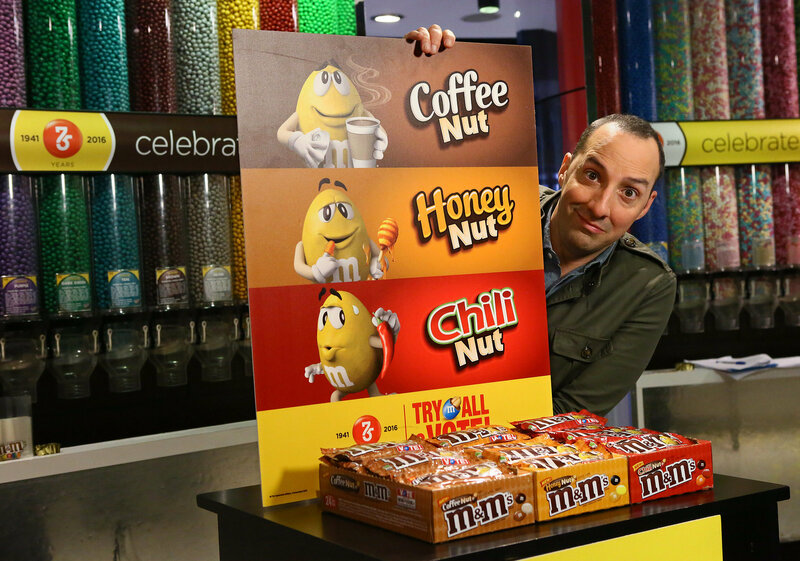 In celebration of its 75th anniversary, the company has announced three new and exciting Peanut M&M’s flavors: Coffee Nut, Honey Nut, and Chili Nut. You can find each flavor in stores nationwide now, but only one of them will stay for good, depending on how customers react. You can vote for your favorite flavor here or by texting the word “Vote” to 87654. With the help of a partnership with actor Tony Hale (from Veepand Arrested Development), the company is spreading the word about the Flavor Vote campaign — you can vote once a day until June 17. Which one are you most excited to try? !